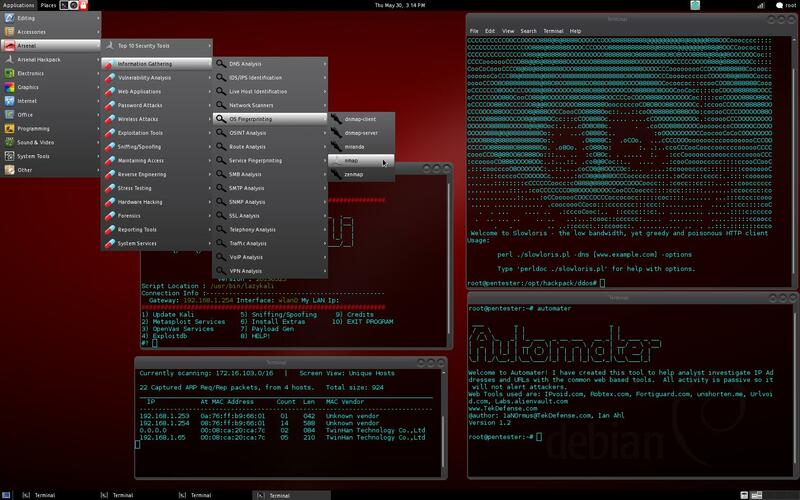 This is an attempt to create a Pentest Distribution, based on the new Wheezy 7 with the addition of Kali linux tools. The project has keep Update all the time, there is always ways to further improve. This effort would not have been successfully completed in such a short period of time without the invaluable help of D4rk-50ld13r Top Member of TOP-HAT-SEC Forum, thanked him for all he has done for us. To install the distribution could begin to Default or live mode, and the Application menu select System tools >Live Installer.